Loot boxes are collectable items in videos games you can earn or buy. When Star Wars Battlefront II was released, gaming regulators all around the world began questioning whether purchasing loot boxes counts as gambling. We take a look at what loot boxes are, where the confusion has come from, and whether the in-game feature counts as a form of gambling. Loot boxes are a part of a video game, which players collect. They contain a selection of random items that can help improve your character. Loot boxes were around long before the Battlefront II release in November, 2017, and can be found in Blizzard’s Overwatch, to name a few. They usually contain around four items to customise a player’s character within the game, including voice and costume changes. Items include Common, Rare, Epic and Legendary. According to Blizzard, Common and Rare items are in every box, while Epic items appear in one in every 5.5 loot boxes, and a Legendary item appears in one in every 13.5 boxes. Loot boxes in Overwatch haven’t caused any problems as they don’t affect gameplay. Fans of Battlefront II, on the other hand, have voiced their frustration about the nature of the game’s loot boxes, claiming that the game promotes unfair loot boxes practices. Battlefront II features two currencies, including credits and crystals. Players can earn credits via gameplay, but you can only get crystals by purchasing them with real money. Although players can only unlock major characters, such as Luke Skywalker, with credits, players can also buy loot boxes, which contain credits. Therefore, players with more money can buy more loot boxes and earn more credits, ultimately giving them a better advantage in the game. Battlefront II developer, Electronic Arts (EA), lowered the price of unlocking iconic heroes in the game, including Skywalker from 65,000 credits to 15,000 credits, following backlash. EA then scrapped the crystals currency, which you use to buy loot boxes, just hours before its global launch. The world does not have a uniform answer on whether loot boxes are gambling. 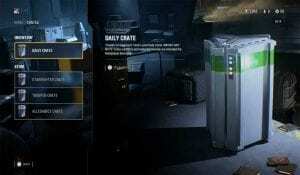 The findings are not based on loot boxes in Battlefront II, however. The Belgian Gaming Commission (BCG) launched an investigation into the nature of loot boxes ahead of the release of the Star Wars game. Belgium’s gaming regulator found that purchasing loot boxes in Battlefront II did count as gambling, just days after the game release on Friday, November 17. The BCG said it would seek to ban both loot boxes and in-app purchases in video games. It said it would also be urging other jurisdictions to ban loot boxes. US politicians caught wind of the investigation and the Hawaiian House of Representative Democrat, Chris Lee, announced plans to protect video gamers from “predatory practices”. He acknowledged that while loot boxes have been around for some time, EA’s game pushed lawmakers into looking into all in-app purchases in gaming. Down Under, Australian state regulators clashed over the issue. The Victorian Commission for Gambling and Liquor Regulation declared that while loot boxes are a form of gambling, it could not investigate due to jurisdictional issues. However, Queensland’s Office of Liquor and Gaming Regulation said for loot boxes to be counted as gambling they would need to allow users to place bets and receive winnings from the bet. It also added that it could not investigate since it is a regulator of licensed gambling. “Loot boxes are a voluntary feature in certain video games that provide players with another way to obtain virtual items that can be used to enhance their in-game experiences. They are not gambling. Whether loot boxes count as gambling or not, we think you should leave wagering to the gamblers who are of age and can make informed choices as to whether they can risk their money. If you fit this box you should check out a range of esportbet betting sites, where you can have a punt on the biggest esports tournaments in the world. We recommend checking out Bovada or William Hill.